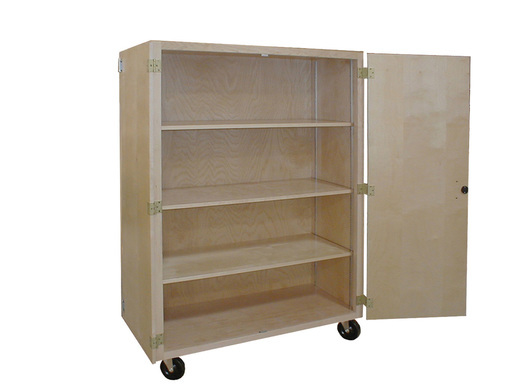 Our mobile storage series cabinets are ruggedly built with front and rear frames and move easily on 4" casters. Constructed of hard maple solids and panels with a natural finish. Includes locking doors. Cabinets measure 48"W x 22"D x 66"H. This model features three adjustable shelves.